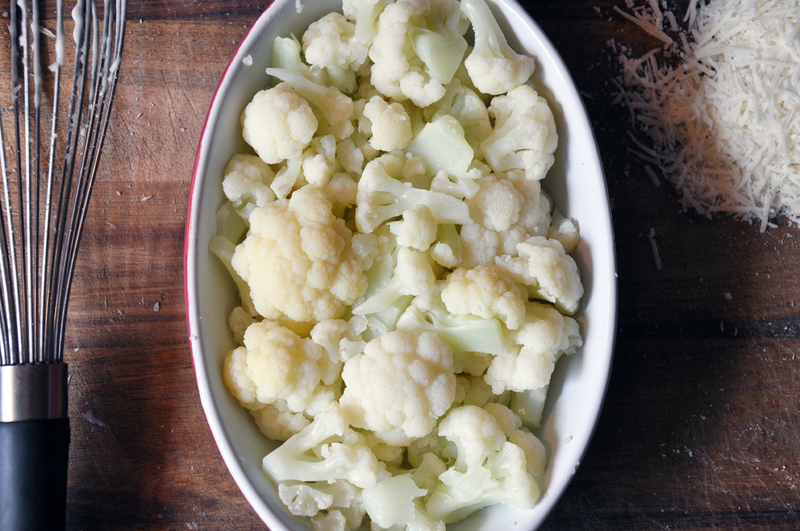 In a small pot, melt butter over medium-low heat. 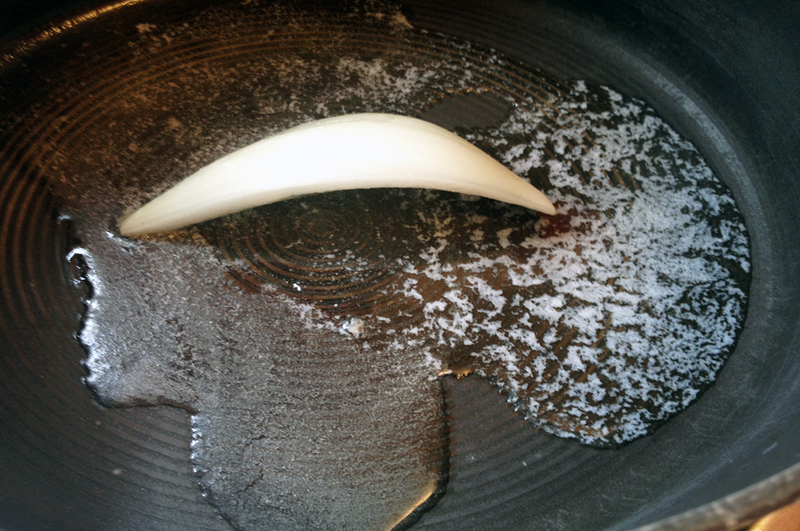 Add onion piece and sauté (turning the onion over occasionally) until translucent, about 5 minutes. 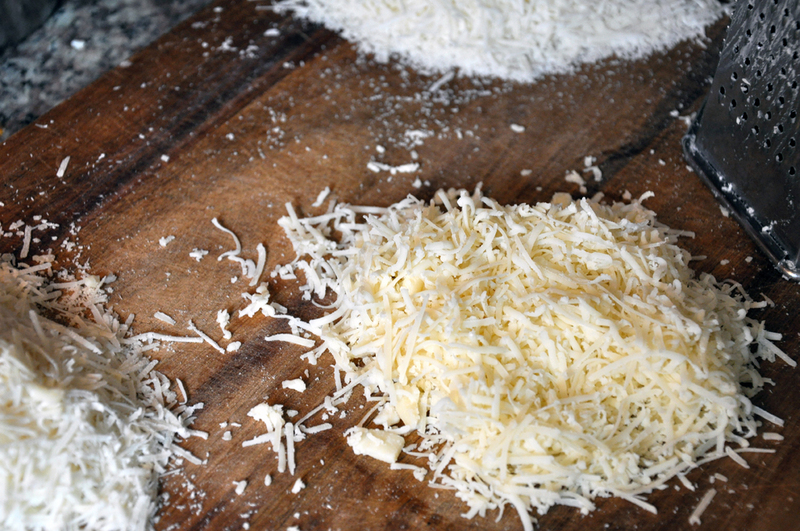 Add flour, whisk in, and cook until lightly browned, about 2 minutes. Turn heat to medium. 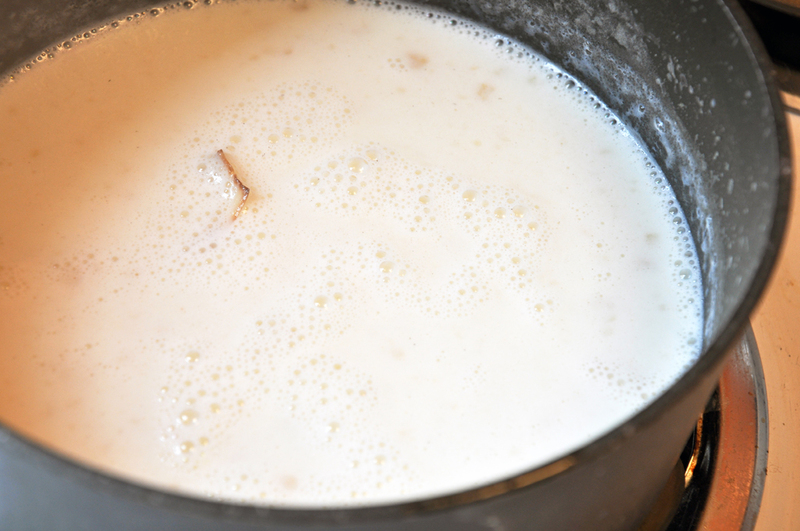 Pour milk in a stream while constantly whisking to prevent lumps. The second it comes to a boil, turn back down to low and simmer about 20 minutes until thickened, whisking occasionally. 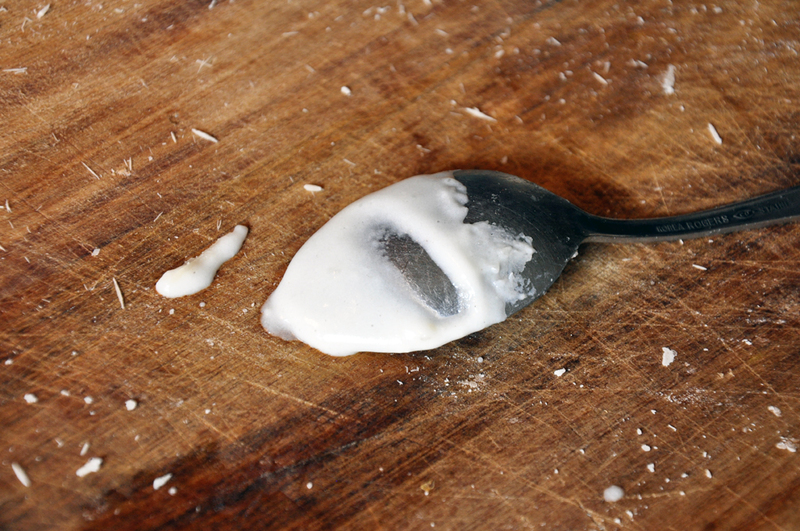 You are looking for a sauce that falls in a solid stream or that you can separate on the back of a spoon. 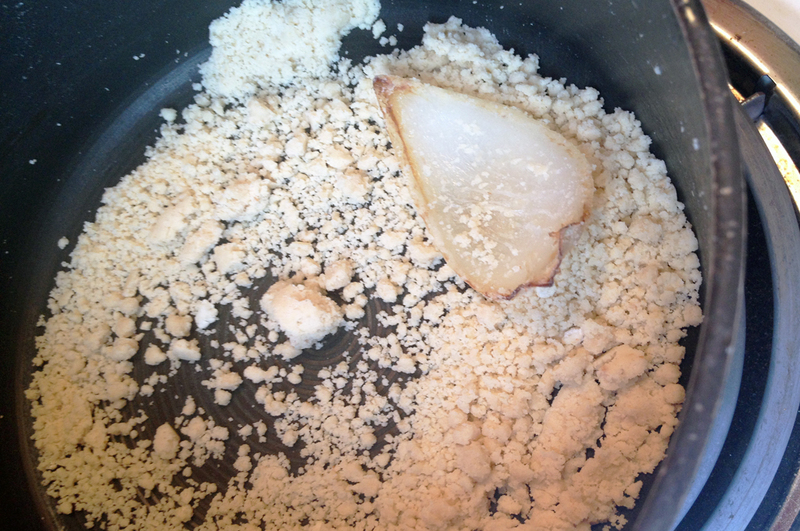 Meanwhile, heat a large pot of water and add a healthy amount of salt. 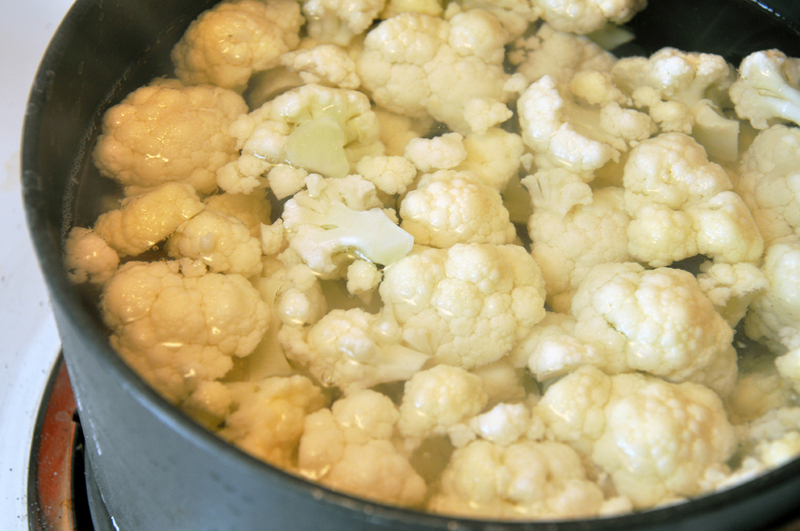 When it comes to a boil, add cauliflower pieces and cook about 5 minutes under tender but not falling apart. Drain and plunge into an ice bath. Then spread out on to a towel to air dry. Remove the sauce from the heat and add salt and nutmeg. Remove onion piece, and then add cheeses. Whisk well. 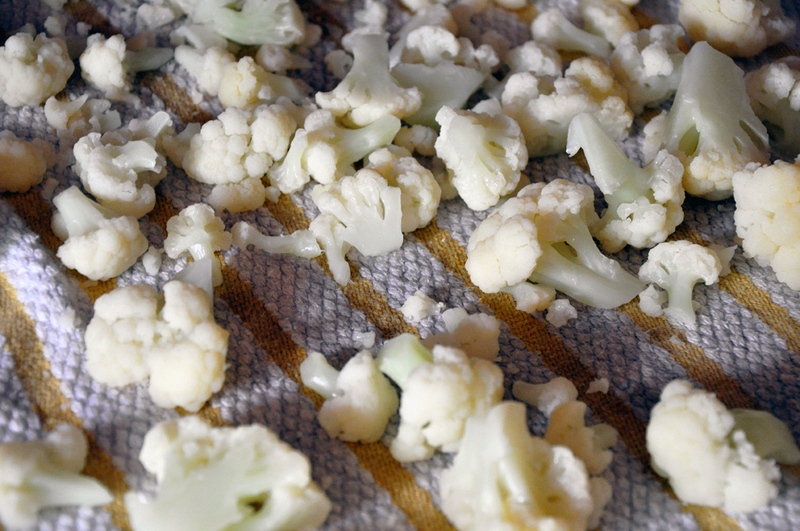 If your sauce isn't smooth, you can quickly puree it in a food processor. 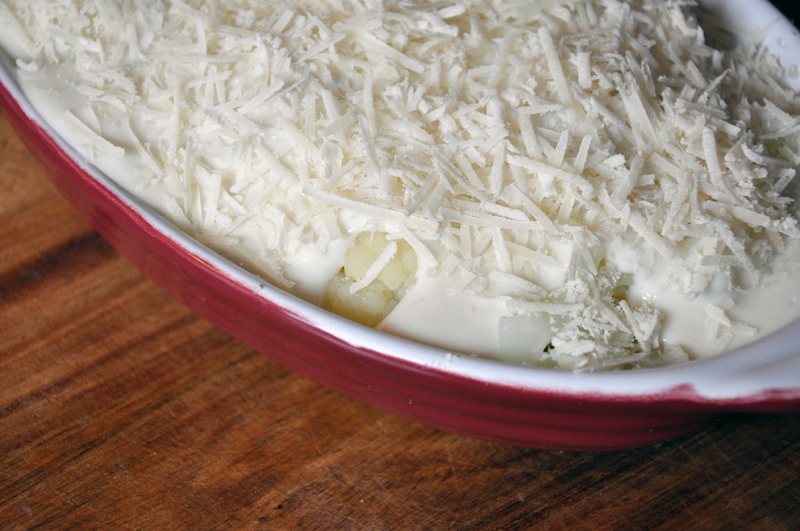 Spray a gratin or small casserole dish with cooking spray. 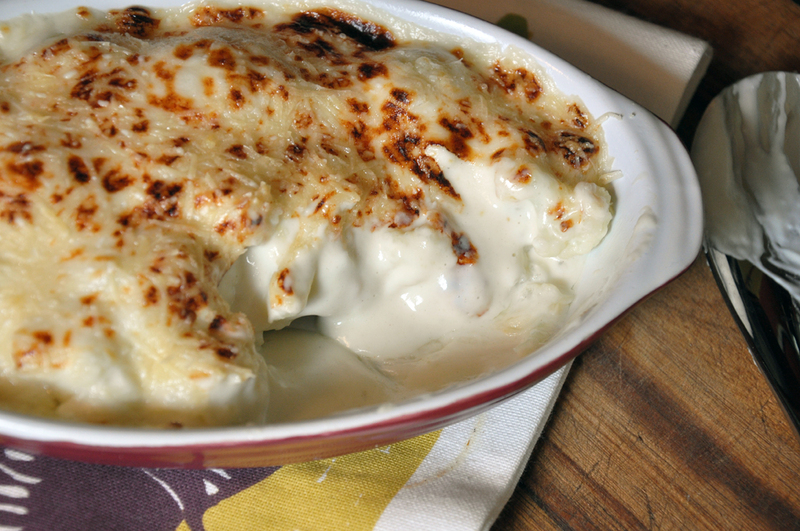 Then pile the cauliflower in an even layer and pour cheese sauce over it. Broil 1-2 minutes until browned. Serve immediately.